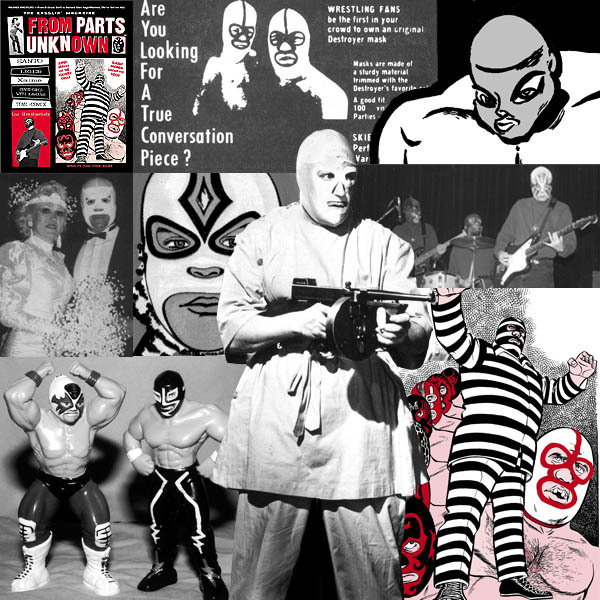 Fifteen years ago we had a dream – to produce an English-language equivalent of Mexico City’s Box y Lucha, but expanded to include info on Mexican cinema and all aspects of masked wrestler pop culture. We got a little too hung-up on replicating the format – low grade coverless newsprint – but otherwise the results really stood out even in the ‘zine-crowded 90s. This ‘primer’ issue was all about introducing new audiences to lucha libre, Santo films, Japanese masked flyers and international collectibles. Standouts here were our first interview with Los Straitjackets, and pin-up art from Ren & Stimpy co-creator Jim Smith and fantasy comic artist Phil Foglio. Plenty of introductory material stuffed into 32 delightfully yellowing newsprint pages.